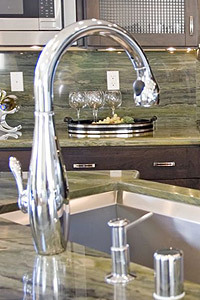 Home plumbing is not usually something that most people are comfortable messing with. Even for a handy do it yourself homeowner, fixing plumbing problems can be a frustrating experience, but so can finding the right plumbing company. The right plumbing contractors can make things that much easier because as we all know, when the plumbing is not functioning properly, it can be a huge inconvenience. At Friends Plumbing, we believe in customer service and satisfaction which is why we offer everything from whole house re-plumbing and sewer replacement to routine maintenance plans and other plumbing services. We have been serving Florida since 1979 and have become one of the most trusted plumbing companies in the area. Whether it’s a simple drain cleaning or a more serious plumbing service, our service technicians are well qualified. With over 30 years experience and 11 service trucks on the road, we have the experience to solve your plumbing problems. See why we are the premier plumbing repair company in the Tampa and surrounding area.